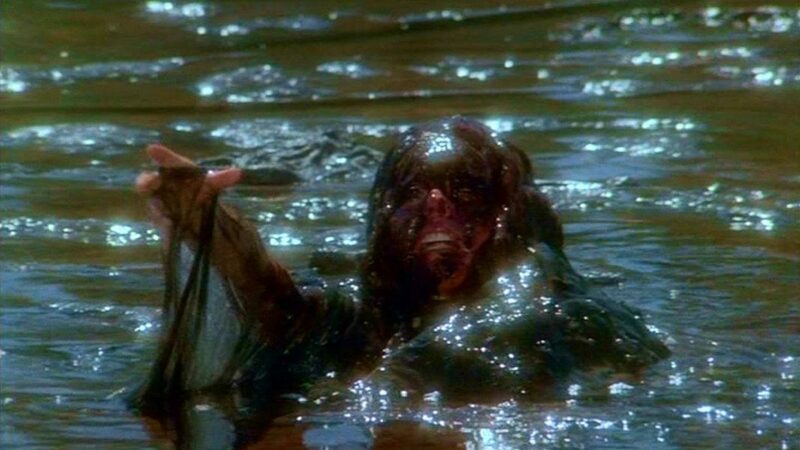 As a lifelong fan of the original Creepshow—one of the first R-rated horror movies I ever saw as a kid and still my favorite horror anthology of all-time—it has taken me years to come to terms with the fact that Creepshow 2 is not bad. In fact, it’s quite good at times. 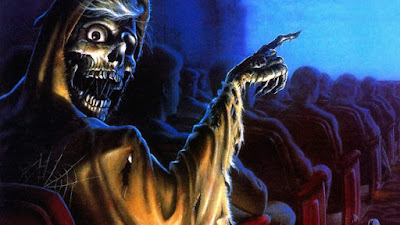 But because it failed to capture the lightning-in-a-bottle magic of the first film (I mean, you had George A. Romero, Stephen King, and Tom Savini all working at their peaks), I have always ignored the fact that there’s a lot to like in Creepshow 2, even if it does fall short of its predecessor’s greatness. Thankfully, Arrow’s new special edition Blu-ray helped put me in my place. Based on three more stories by King, Creepshow 2 finds original director Romero trading in the director’s chair for screenwriting duties. Calling the shots for the sequel is Michael Gornick, who worked as the director of photography on Creepshow and makes his feature film directing debut here. It is also his swan song; though he would direct some episodic television in the late ’80s and early ’90s, Gornick never helmed another feature. He directs the anthology sequel with workmanlike competence but not much style, especially when compared to the live-action EC Comics vibe Romero achieved in the original movie. But comparing a novice to a master is not fair, so I’ll just say that Gornick does manage to achieve what is most important about a Creepshow movie: it’s fun. In fact, the anthology only gets more fun as it goes—it starts rough, peaks in the middle, but by the end of the third segment, it has achieved a sort of giddy delirium that’s four shades darker than most dark comedies dare go. First up is “Old Chief Wood’nhead,” the weakest of the three segments in which George Kennedy and Dorothy Lamour play the owners of a general store in a southwestern town that has gone to seed. One night, the couple is robbed and murdered by three criminals (one of them a Native American played by Holt McCallany in red face). But because this is a Creepshow movie, nothing goes unpunished: the cigar store Indian statue from the store’s porch comes to life and exacts its own bloody revenge on the three punks. There’s a definite EC comics, “bad people getting their comeuppance” vibe to “Old Chief Wood’nhead,” and the Native American angle gives the segment a political subtext missing from any of the other shorts in the Creepshow movies. Unfortunately, none of this makes the segment very good. The acting is too broad, the story too flat and basic, and the actual effects of the living statue are pretty bad even by this sequel’s lower-budget standards. While the murderous punks are certainly hateful enough, there’s not enough of an emotional connection in the segment’s short running time for us to really care if they get their just desserts or not, which may have something to do with us not really getting to know or care about the married store owners beyond the fact that they are older and innocent. Stories like this work best when we are either rooting for the instrument of revenge or when we see everything going too far (like, for example, in Pumpkinhead). “Old Chief Wood’nhead” accomplishes neither. The second segment, “The Raft” (adapted from King’s short story of the same name in Skeleton Crew), is widely considered the best in the film; for years, even horror fans who don’t like Creepshow 2 will at least acknowledge that “The Raft” is good. The premise couldn’t be simpler: two young couples swim out to a stationary raft in the middle of a lake to have fun. Something that looks like an oil slick drifts over to them and begins dissolving them one by one, trapping them all on the raft. Why “The Raft” works better than the other stories in the movie, I’m not sure I can exactly pinpoint. The premise itself is good and scary, creating a sense of hopeless isolation. The ways in which the killer oil slick gets to the teenagers is clever and surprising and gory. It’s the segment that feels the most complete—one idea seen through to its logical conclusion, effectively constructed and containing a handful of surprises. It’s the one segment in Creepshow 2 that feels like it wouldn’t have been out of place in the original Creepshow, except for the fact that it centers on teenagers and Creepshow is all about adults. Unlike the usual EC comics-inspired stories that populate these films, “The Raft” isn’t really about a moral code. The horror of this segment is in its very randomness—these people didn’t bring the attack onto themselves, they didn’t do anything to deserve their doom, and they really have no way of combatting the monster. The feeling of helplessness is what makes it resonate. As premises go, this setup is about as basic as the one for “The Raft,” but in this case the horror elements are meant to function as a metaphor for the guilt of infidelity that the Chiles character simply can’t shake off. It’s really a one-joke piece, but follows one of my favorite rules of comedy, in which the thing repeats itself until it stops being funny and then becomes funny again because it just keeps going. Plus, the one joke is pretty good, particularly as the segment goes on and the man haunting Chiles becomes bloodier and more gross-looking. By the time his tongue is rolling out of his half-missing head and licking Lois Chiles’ face, it’s impossible not to be cackling along with the movie. 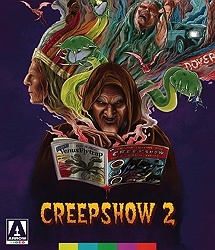 Arrow is releasing two separate versions of Creepshow 2 on Blu-ray: the first, a limited edition of 3,000 units with a red slipcover and a collectible comic book, is mostly sold out at the time of this writing. The regular special edition represents an upgrade from the previous Image Entertainment release, boasting a new 2K scan that improves upon the earlier 1080p version; it’s brighter and more colorful, revealing more film-like grain but also betraying the movie’s low-budget roots in the softness of the image and in the roughness of the wraparound animated sequences. Both lossless mono and stereo surround tracks are offered as far as audio options, so viewers have the choice of a more elaborate presentation or one that’s faithful to the original release. The original commentary with director Gornick and Perry Martin has been carried over from a previous release, as have a behind-the-scenes featurette, still gallery, and two featurettes with KNB EFX Group—one a general look at their work on the film and the second a brief interview with Howard Berger about his working relationship with the great Rick Baker. New to Arrow’s release are jovial interviews with screenwriter Romero, cast members Tom Wright (“The Hitchhiker”) and Daniel Beer (“The Raft”), and makeup effects creator Tom Savini, who pulls double duty in the movie playing “The Creep” under prosthetics. Rounding out the bonus content are two trailers and a TV spot, plus the original screenplay accessible via BD-ROM. I believe that Creepshow 2 was actually the first horror movie I ever saw and boy, did "The Raft" have an effect on me. I was afraid to sleep near the edges of my bed for months. But once I recovered, I was hooked for life. I always liked Creepshow 2 better than the first. I only like two of the stories in the first just as I do this one, but here there's only 3 altogether and in the first there's 4 or 5. Much less filler in Creepshow 2. I have the 88 films bluray which looks like they used the same 1080p scan as Image entertainment, the new Arrow scan as you mentioned is so much better, the colours really pop, how many times do I need to buy this film? Film scanning and restoration has come on leaps and bounds in the last few years, we are now at a time where old blurays we thought was our final purchases are now ready to be improved upon, we might all be reupgrading?